Design Lab Education Session at Catersource 2017. Designed by Perfect Surroundings. Saying goodbye to another sweltering summer means welcoming a cool, crisp fall and, with it, new ideas and event trends to make your event feel fresh. Trends to play up this season include: art deco, mixing rustic with industrial, and a homage to 80’s décor. Art deco gives a classic and stylized feel to events this season. Go Gatsby with your event and create lush, luxe event designs that feature metallic finishes and dramatic colors. Deep blues, greens, and reds pair nicely with metallics. Geometric patterns lend a feeling of luxury and sophistication. Make the details count with marble finishes that mimic the geometric patterns around the room with accents like the Alondra Cocktail Table. Faux fur represents sophisticated luxury and adds whimsical elegance to any gathering. Dress up a classic Wilshire Sofa with eccentric furry Garbo Stools. Cozy up on faux fur rugs and pair with metallic accents to create an ambiance with a warm glow, that feels refined and expensive. Create a look and feel that is modern yet accessible by mixing rustic with industrial. Refine the outdoorsy feel of rustic décor for a more eclectic look that feels comfortable and inviting for guests, yet still feels modern and updated. The Rustique collection blends wood and metal in furnishings and accents that pair seamlessly and transform a simple event space. Wood laminates are also a clever way to incorporate the rustic feel into your design plan. 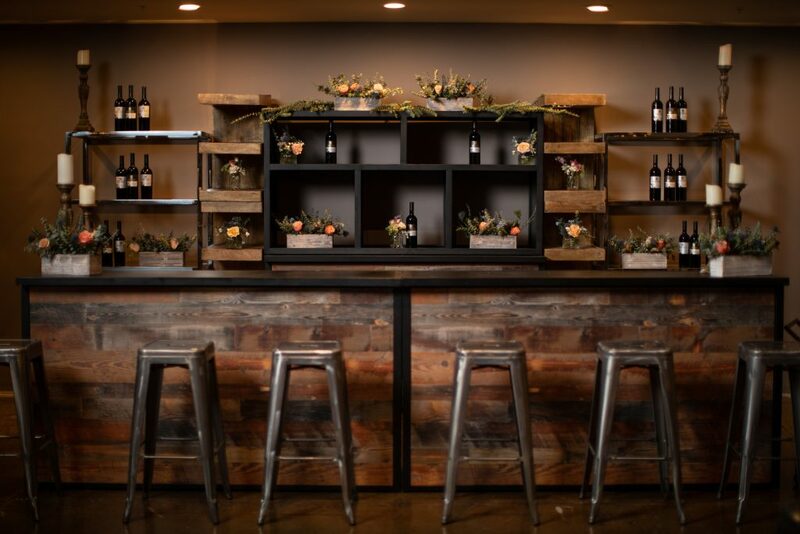 The Maxim Bar with wood front, paired with Boxwood Hedges feels warm and organic and the Lexington Table mixes materials with black metal legs and wood tops and features USB outlets so your event facilitates connectivity. The 1980’s are making a comeback in the most fashionable way possible. The pops of color and retro lines and patterns are transitioning the 70’s trends of the summer into the 80’s trends of the fall. You’ll see iconic shag rugs and color pallets that are totally radical. Warm metallics like gold, bronze, and rose gold will pop with the fun and funky patterns and bright colors. The Endless Collection provides the perfect, simple canvas to bring in exciting 80’s elements to your design plan. Mid-century furnishings that resonate with attendees year after year can be amped up with colorful accents for events while not being overly thematic. Danish modern pieces compliment autumnal hues like deep purple, warm yellows, and spicy oranges. CORT offers on-trend colors and textiles, such as velvet, on some of our most popular classic ottomans like Beverly Bench Ottomans, Vibe Cube seating, and Marche Swivel Ottomans. These pieces allow color to help tell the story of your event. 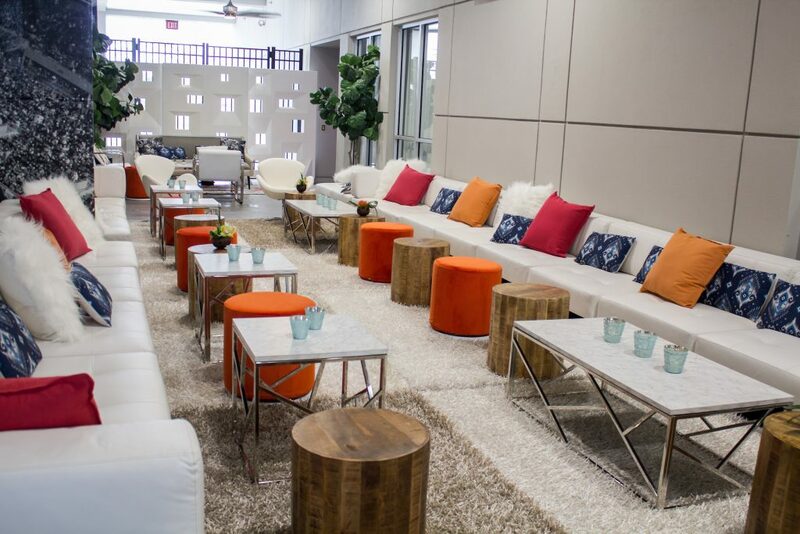 The CORT Orlando Event Experience took place in Bebruary at the new Varsity Club at Camping World Stadium. Designed by Perfect Surroundings, Intl. took inspiration from the diverse city to create an Urban Tropical Jungle. Make your next event feel extravagant, or minimalist, or totally retro with these exciting fall event trends. 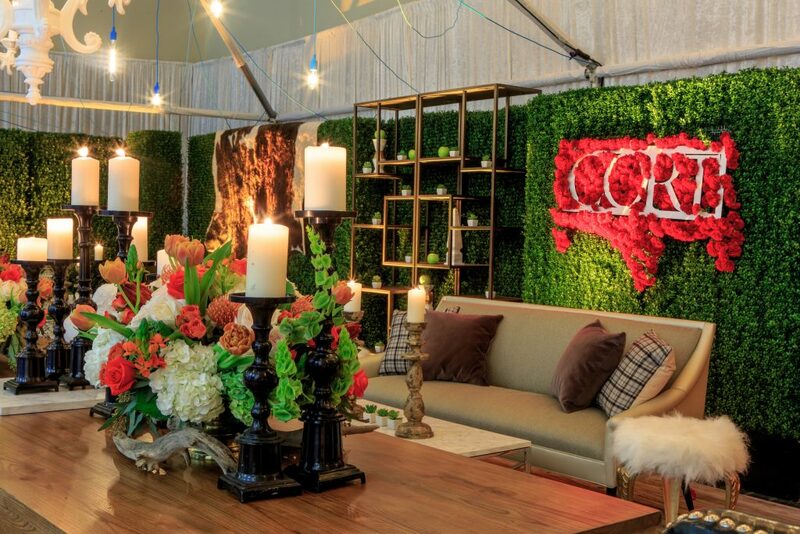 To learn more about CORT’s event rental collections, visit www.CORTevents.com.